Once a year comes a holiday when some people dress up in devilish caricature. There are others who don’t require a special day to present themselves in ways they feel most comfortable… People like Anton Szandor LaVey, both a good friend and Feral House author. 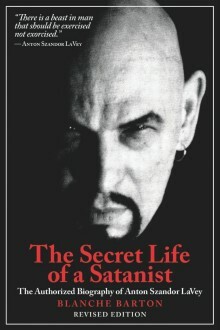 Anton’s biography, The Secret Life of a Satanist, by Blanche Barton, has finally undergone a revision and expansion, complete with new chapters about his final decades, and new images not seen in the first edition. We very much enjoyed hanging with “The Doctor” in the noir confines of the Black House in the Richmond District. Reading Blanche’s book is the closest thing to revisiting the Black House and hearing stories from the man himself. It has just become available, and you can purchase a copy directly from Feral House here.